Facial oils are "having a moment" right now. Just about every magazine I subscribe to has had an article on this trendy beauty item in the past few months. Let me tell you, I'm sold. I never thought I would want to put anything oily on my face, but apparently these facial oils don't contain the type of oil that makes your skin oily. Yeah, I don't really get it either, but I'll just trust what these skin and beauty experts say. As a self-professed beauty product addict and, simultaneously, an indecisive person, there is nothing better than SAMPLES. Browsing the 4,000 aisles of Sephora and committing to spend a generous amount of money on a product I've never tried before, is a nightmare for me. That's why I love when I purchase a tested, tried-and-true product and get several samples for free. I've found some of my favorite products this way. (Fekkai Brilliant Glossing Creme). I also love trial sizes, because not only do you get a test drive for a fraction of the cost, but with many products I only use a small amount, so even a trial size lasts forever. 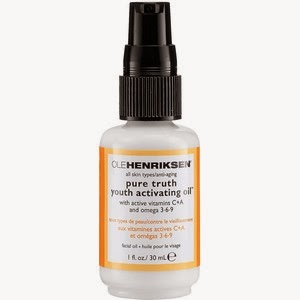 I recently cashed in some Sephora Beauty Insider reward points for a trial size of Ole Henriksen Pure Truth Youth Activating Oil. Among some other components, it has two anti-aging all stars: Vitamin C and Vitamin A (retinol). Although I read some complaints about the smell, I love it. To me it smells like orange honey tea. It gave my skin a smooth glow. It has a slight orange tint, so I only put it on at night under some other face cream. That's what I like about these face oils; you can layer them under products you're already using. 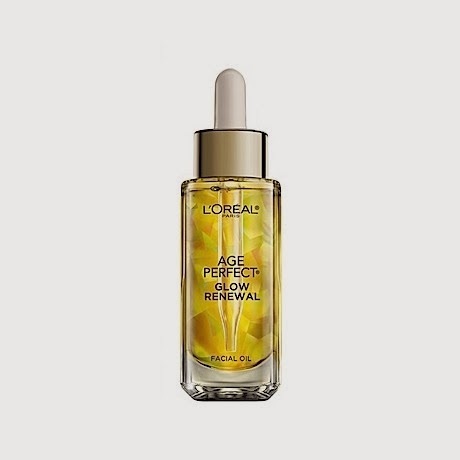 There was a sample of this Loreal Age Perfect Glow Renewal Facial Oil in a magazine. I tried it and loved it, probably even more so than the Ole Henriksen one. It makes my skin feel so soft and smooth, and gives it a beautiful glow. There is something luxurious and almost old-fashioned about using a product like this. I'm not sure if these effects are just temporary or improve your skin in the long-term. I'm a practical, results-driven person, so I usually only buy products I think will help fight future lines and wrinkles, not just make my skin look better while I'm wearing it. But in this case, even if it is only short-term, I love the results. So much so that I used the coupon attached to the sample and bought the full-size product. Here's to beautiful skin! What new beauty products do you just love?